Even the Pope and our world leaders have taken selfies. 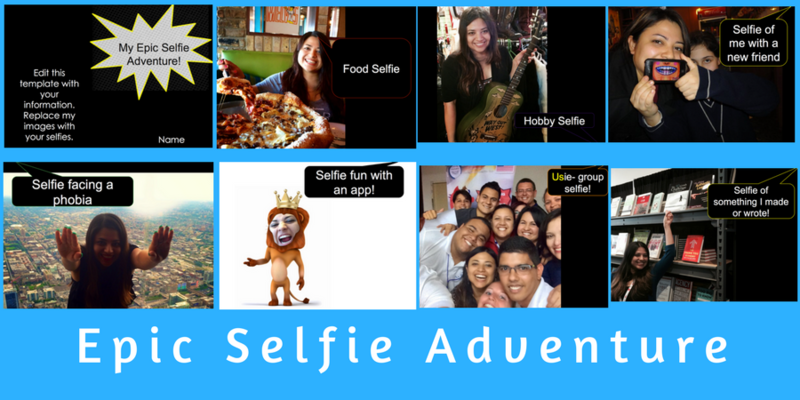 Renowned educator, international presenter, and EdTech Mission Specialist Shelly Terrell puts your students and/or colleagues in her Selfie Mission and inspires them to make it their own, with this FREE Selfie Adventure template. The editable Powerpoint includes 20 slides that teachers and students can edit to fit any age or subject. Grab yours now and launch learning to new heights! PLUS, when you grab the Selfie Adventure, we'll send you more FREE EdTech Missions from Shelly Terrell.